The Final Touch from Uncommon Goods & Some News! There's this awkward space above my bed in my studio apartment and for weeks I've been searching for the perfect piece of art to adorn it with. I thought about a quote in chalk (no paint since I'm a renter) but decided against that, then I thought about digging up some of my old Polaroids, but that just seemed too reminiscent of my high school bedroom. In my search I stumbled upon UncommonGoods where I found an amazing selection of gifts and decor that was not only unique, but sustainable! They have tons of handmade, organic, and recycled products on their site made by artisans and small manufacturers. 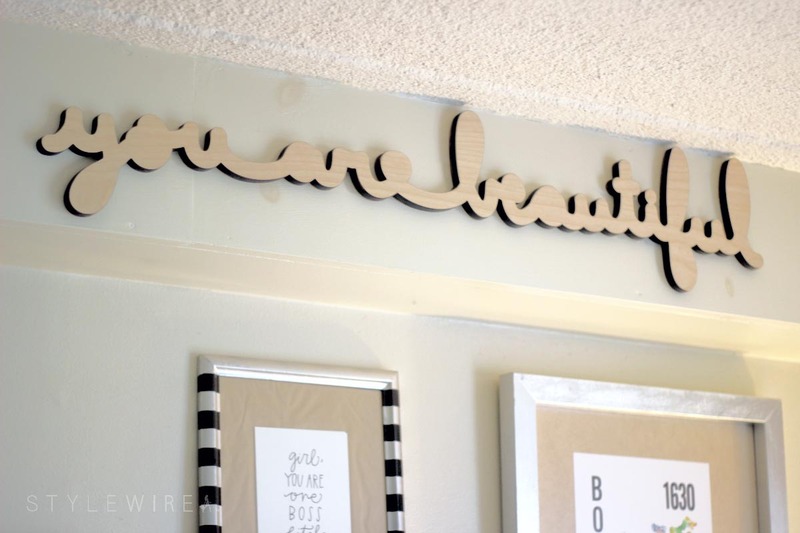 I found this wooden "You Are Beautiful" sign by Chicago based artist Matthew Hoffman, and it was perfect! It came quickly, just as described, and carefully packaged with a couple of stickers from youarebeautiful.com. The timing was a little less perfect; I put an offer in on a condo and a week later it was accepted. So I found the perfect piece just in time to pack it up and move! But that's life for you. It feels great to be a homeowner just a few months before my 27th birthday and I'm excited to have more space, a place that I can truly call my own, and a bedroom and living room and bathroom that I can paint! Goodbye studio living. I've been pinning decor inspo like crazy so if that's your jam you can follow along with me on Pinterest. You can shop more home decor and unique housewarming and gift ideas from Uncommon Goods! 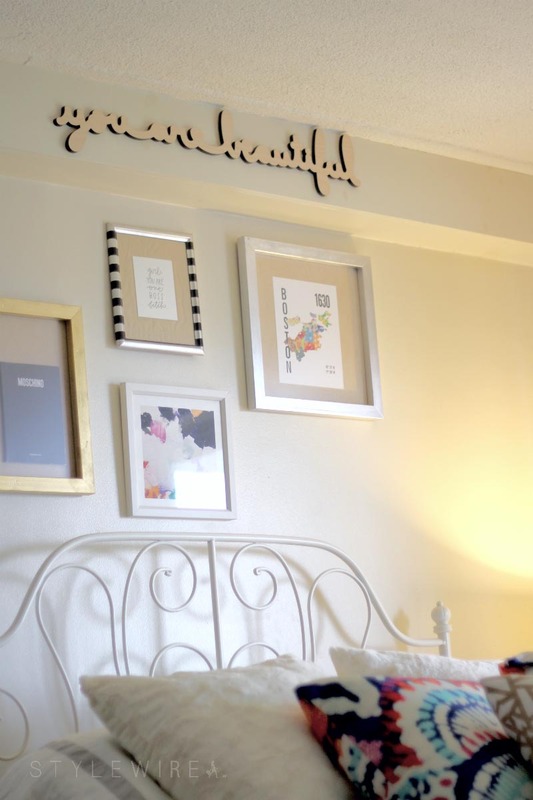 They have curated shops for every occasion from celebrating new parents, to new homeowners, to new last names. Stay tuned for updates as I pack up my Quincy apartment and decorate my new space in Chelsea! This post was sponsored by UncommonGoods. Thanks for supporting those who support Style-Wire.com!